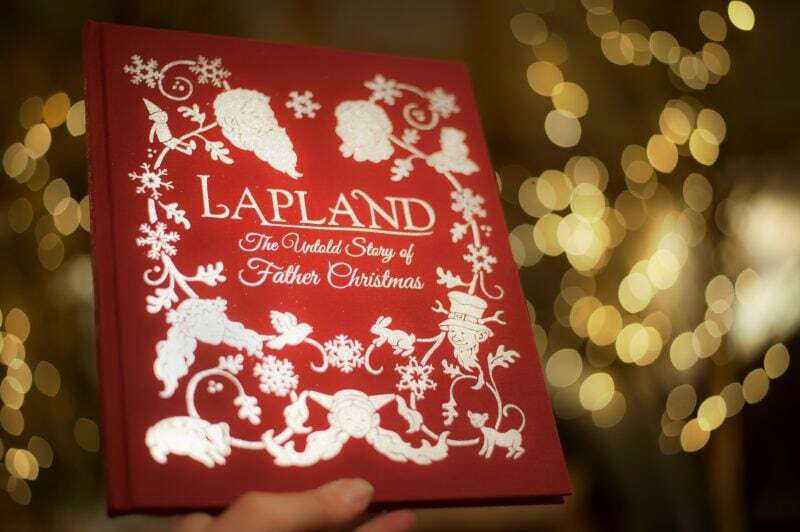 Last year we visited Lapland UK and it was, undoubtedly, the best day we have ever shared together as a family. Even now, twelve months later, the children still talk about the elves they met, the gingerbread they made, the ice skating, the reindeers and meeting Father Christmas. Every now and then, when I tuck them up into bed and read them their Lapland story book, they tell me in sleepy murmurs, still clutching their husky dogs tightly, how Lapland UK was the best day of their whole lives. And so when we were offered the chance to return to Lapland UK this year my main concern was, could it ever be as good as our first visit? Because I’ll be honest with you, I just didn’t see how a return visit could ever be as truly magical as that first time. 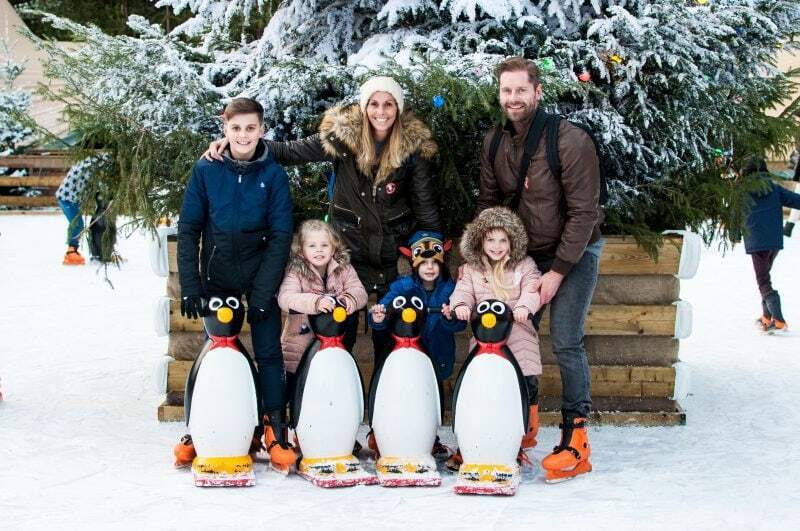 I didn’t imagine that the look on my children’s faces would ever be quite as mesmerising, the ice skating quite as exhilerating, those snowy paths quite as enchanting. I found it impossible to believe that we could ever recreate a day as perfect as that first one. So what if I told you, without a word of a lie, that our return to Lapland UK was even better than the first? 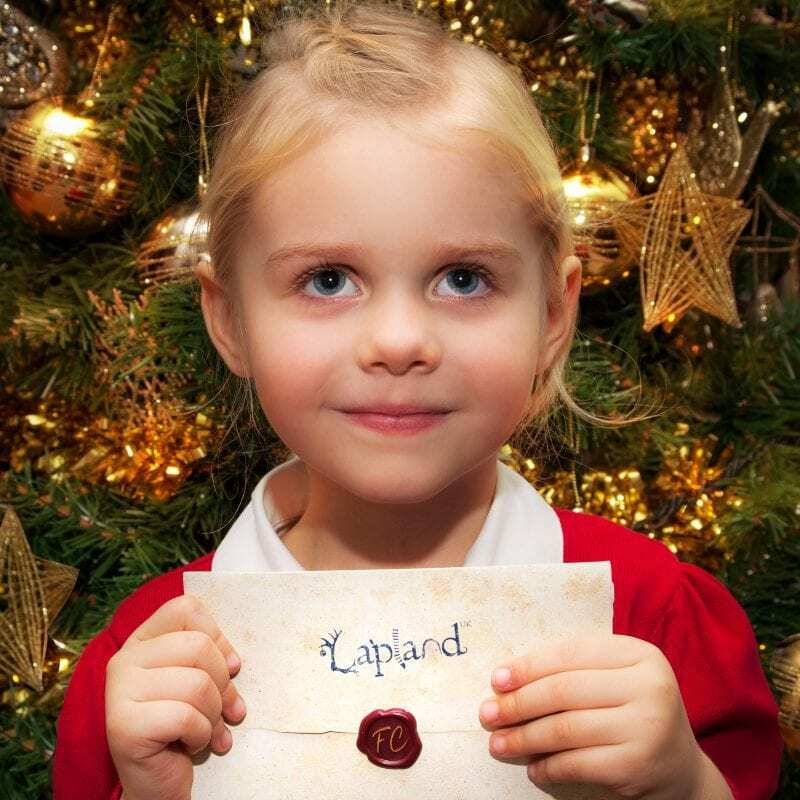 It began weeks earlier with the receipt of their invitations, the way in which they had squealed with delight as I read them aloud, how they had declared incredulously, “Father Christmas chose us again!”. Every day they would ask me, “How many days now?”, their excited chatter filled with talks of their favourite moments, of Pixie Mixie, Conker, Whittle and Bauble, their lengthy discussions over which sweets they would choose from the village sweet shop, whether they would be so lucky as to get a second gift from Santa this year. This year we decided to make a weekend of it, spending two whole days down in Ascot in order to milk every magical moment from the weekend. 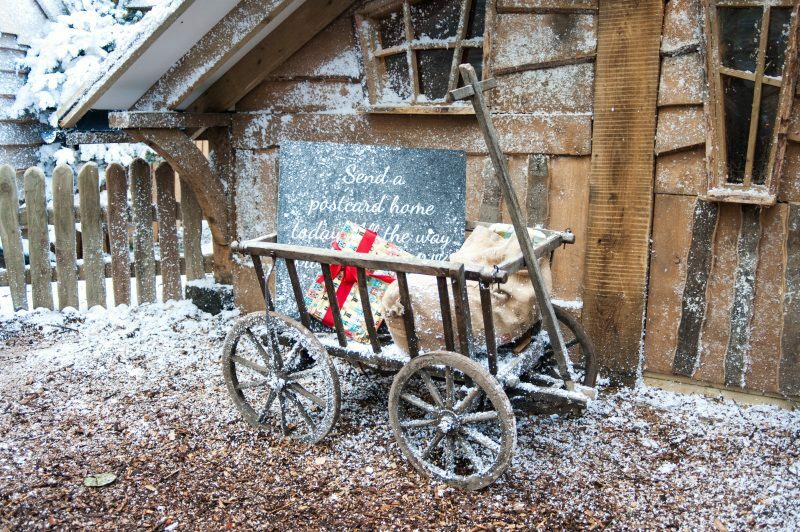 As we travelled down to the Hilton at Bracknell, just ten minutes away from Lapland UK, it was lovely to know that we could take our time the following day without rushing back and cutting short our fun. The short drive to Lapland UK was met with excited anticipation, “I remember this!” Eva said, “This is the right way!” Megan told us. “My want to see Rudolph!” Harry declared, his nose pressed up against the window, his little face flushed with excitement. 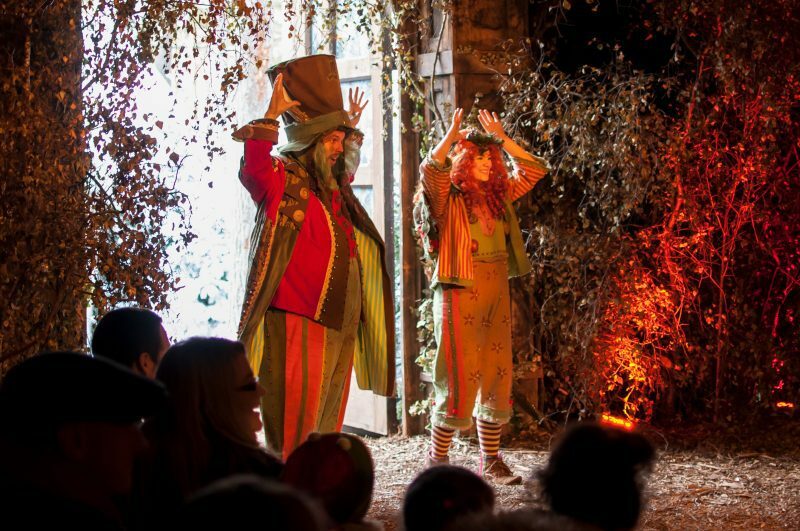 As we parked up at the Enchanted Forest the children hopped from one foot to the next, “Come on it’s this way!” they told us impatiently, running ahead with a familiar confidence, chattering between themselves about all of the wonders which lay ahead. The entrance was just as beautiful as we had remembered it to be and, although it was bustling, we were promptly checked in, given two pin badges as a thank you for returning this year, and we took our place ready for the start of our tour. 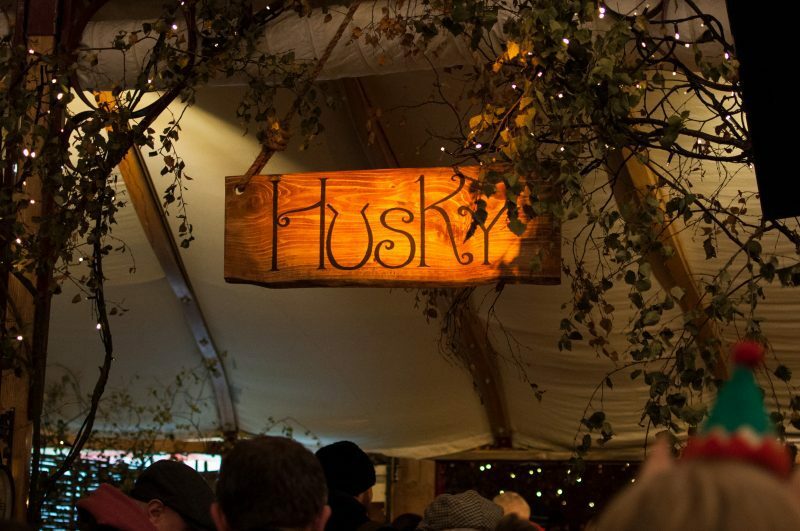 Each tour is split into two teams, the Huskies and the Reindeers, and this year we were the Huskies – much to the children’s excitement. And then the moment we had been waiting for, the doors swung open to reveal the snowy paths ahead, and where as last year the children had felt a little overwhelmed, clinging to my legs as we inched through the door, this year they were off like a shot, charging through with whoops of excitement shouting, “Come on Mummy!! The elves are this way!!”. In just the same way as last year, we found ourselves in a fairy lit woodland glen where we were met by two elves. 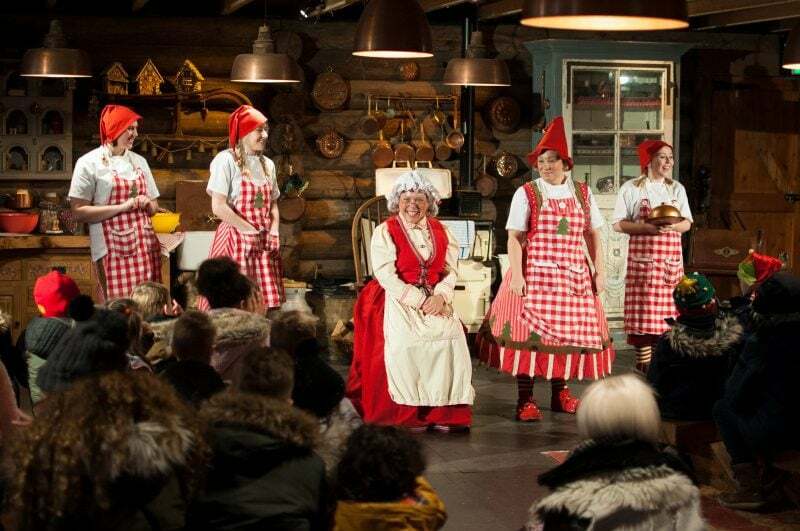 And as they told us the story of Lapland, about the elves, Father Christmas, and what lay in store, the children sat there with eyes as wide as saucers, completely silent for the first time in months, just drinking it all in. And never once did they complain, “Oh we did this last year!”, or lose interest having experienced it all before. Never once did they fail to “Oooh!” or “Aaah” with every surprise and every twist and turn. Their excitement was simply heightened by the memories of the previous year, sometimes knowing exactly what was to come, sometimes being taken completely by surprise! At our next stop, the toy factory, the children were delighted to see some of their favourite elves again, throwing their heads back and laughing at every joke, drinking in every carefully thought out detail from the rotating toys above our heads, to the new addition of magical glasses which allowed them to see a room filled with rainbows. 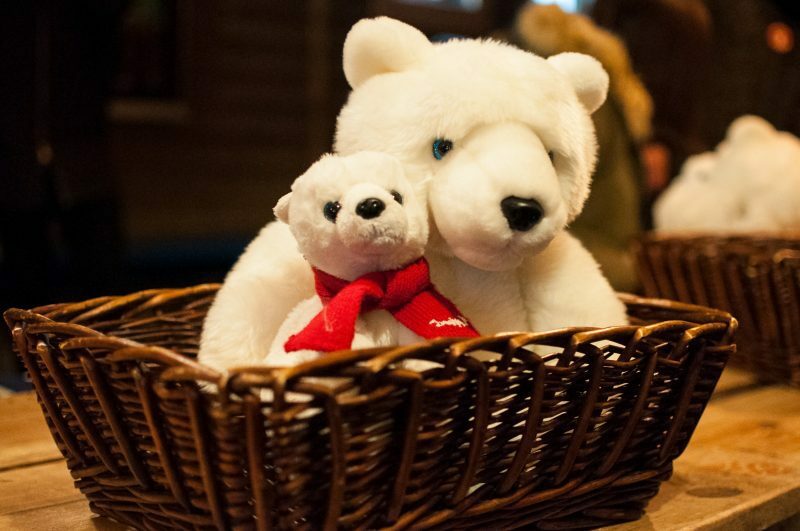 This year the children were asked to help the elves make polar bears and where as last year Lewis and I needed to help the children do this, this year they got stuck right in, doing it all by themselves, looking so utterly proud as they carried their baskets to the front and sent them off to Father Christmas. 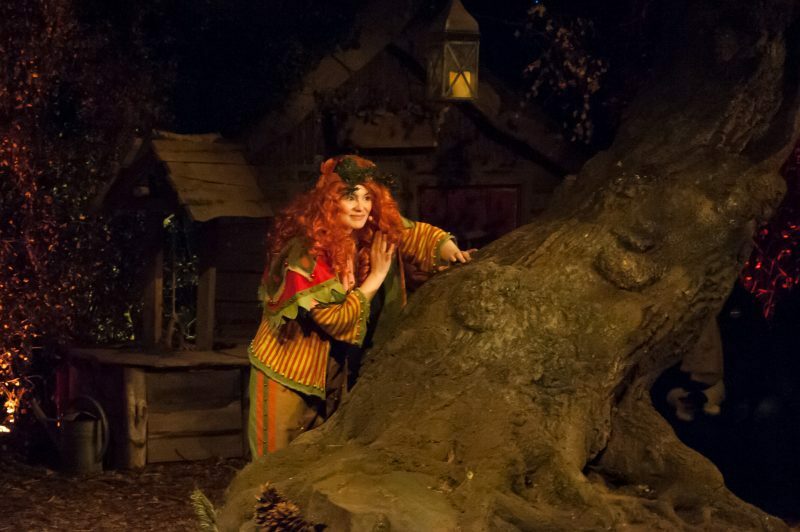 Seeing Eva chatting away to the elves was such a lovely moment, even more so given the difficult year she’s had, and when they were all rewarded with another stamp in their elf passports I felt incredibly proud of them all. Our next stop was Mother Christmas’s kitchen where we were greeted by Mother Christmas and her team of helpers. “This is where we make gingerbread men Harry!” Megan whispered, and then stopped in her tracks as she discovered that this year it was gingerbread Christmas trees! I love that they make these little changes each year, keeping the same successful format but adding in small differences to keep the children on their toes! One thing which was exactly the same, and just as special as I remembered, was the walk up to the elf village, wandering down the snowy paths with the fairy lights and music in the distance. Despite knowing what ahead, the excitement was no less and, as we entered the village, I felt that overwhelming rush of emotion knowing that it was everything we had remembered it to be and more. I’m not sure it’s even possible to describe the atmosphere in the Elf Village, nor sum it up in just a handful of photos. It’s as though you can literally smell Christmas in the air, as though every detail, every sparkle, every snowflake, every emotion that you feel on Christmas morning is right there all in one place. And that’s a feeling none of us will ever forget. And that’s what it’s all about for us, making those moments we’ll never forget. 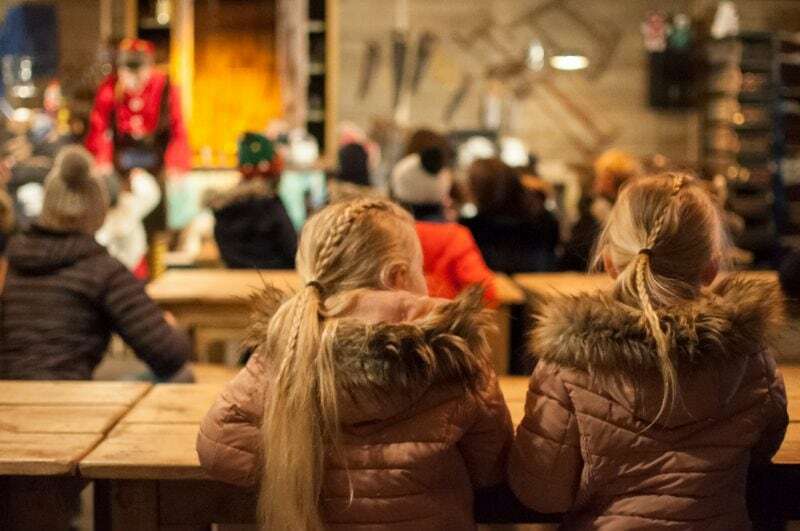 The look of determination on the children’s faces as they wobbled around the ice rink, the sound of their laughter, and their cries, when they took a tumble, the feel of their cold little hands enveloped in mine. The concentration as they wrote their letters to Father Christmas at the Post Office, carefully listing every last toy they had asked for, posting it through the letter box with their eyes closed and their fingers crossed. Their excited cries as they saw the husky dogs, the way one nuzzled against Megan’s leg and she had looked at me, her eyes sparkling with delight, “Mummy! This one loves me!”. 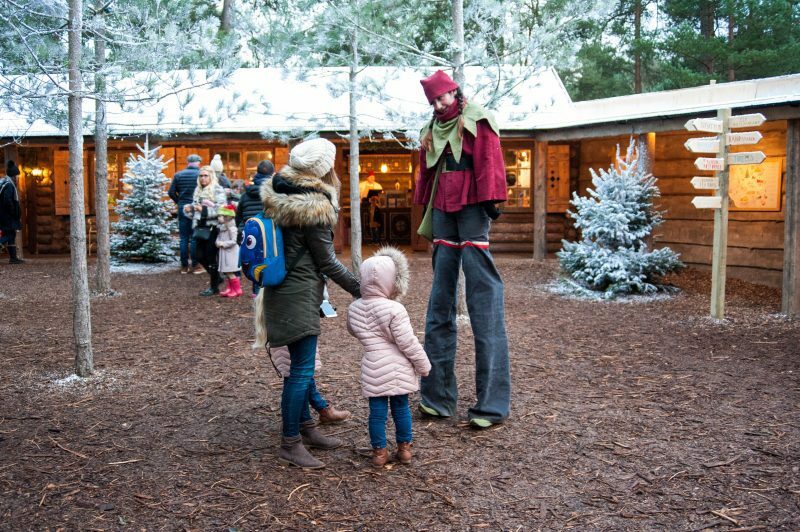 The smell of hotdogs and mulled wine, the juggling elves, the stilt walkers, the jingle of bells and the twinkling lights. The moments when I looked at Lewis, who at thirteen has long been a non-believer, and saw a sparkle in his eyes which reminded me of a time when we shared so many magical moments of our own. The pride I felt at seeing the girls chatting away to Pixie Mixie, to see Megan hop up for a cuddle, to see Eva over come her crippling shyness for the first time in months. Those are the moments which are just ours, just for the six of us, the moments that we will look back on, year after year, and feel all of those emotions long after the children have grown. Our final part of the day was the children’s favourite, going to see Father Christmas himself! 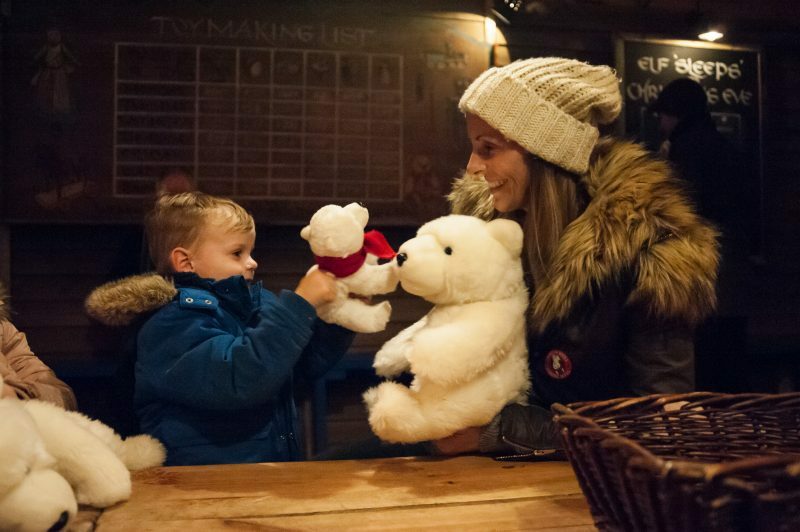 And the thing I love most about Lapland is that, unlike other grotto experiences we’ve had, the children can really enjoy that moment. It’s no secret that Eva, Megan and Harry are the type of children who need time to “warm up”, the type of children who spend the entire time clinging to my leg, only to have the best five minutes of their life just as it’s time to go home. 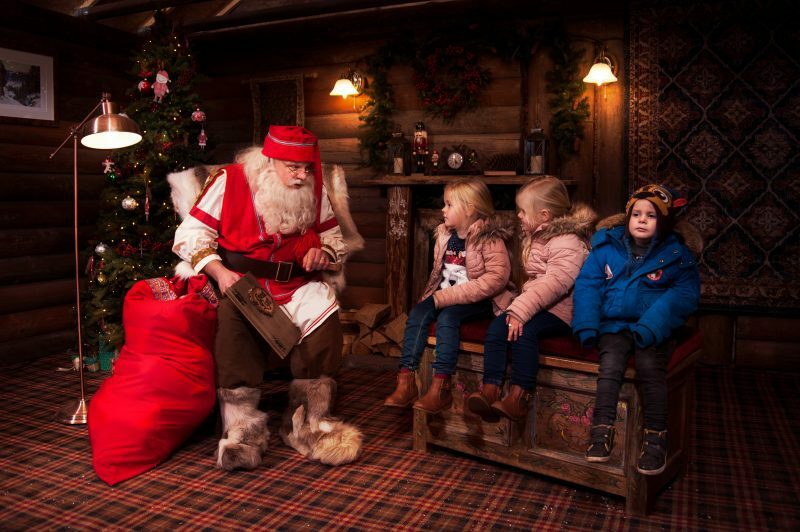 And that’s the thing with Lapland, that with four hours to experience it, even the most timid of children will be running ahead down those snowy pathways, slipping their hand into that of an elf, and telling Father Christmas every item on their list with a confidence that melts your heart. 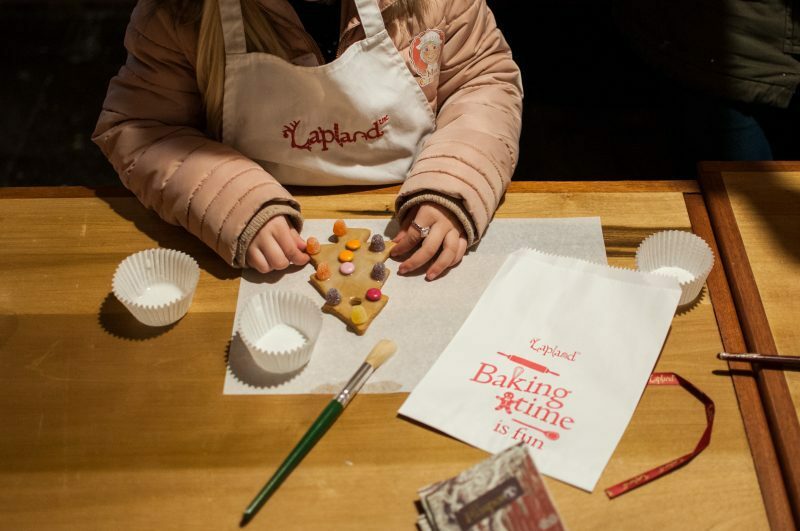 When our day at Lapland UK was over, instead of piling into the car and going home as we did last year, we went back to the hotel, enjoyed a delicious meal, and chatted non-stop about our favourite parts of the day. And as we went up to bed, the children worn out from such an exciting day, it was lovely for Gaz, Lewis and I to just relax, to forget the thought of a long drive home the following day, and to allow ourselves to stay oblivious in our cocoon of magic for a little while longer. When we woke the following morning to see the snow, the children could not have been more excited. “He sent it!” Megan screeched, the three of them pressed up to the window, their eyes wide with amazement, “Father Christmas sent us the snow!”. And as they danced around the hotel room in their pyjamas, their eyes sparkling, the memory of those magical little faces still so fresh, I knew that the magic of Lapland would just keep growing and growing. 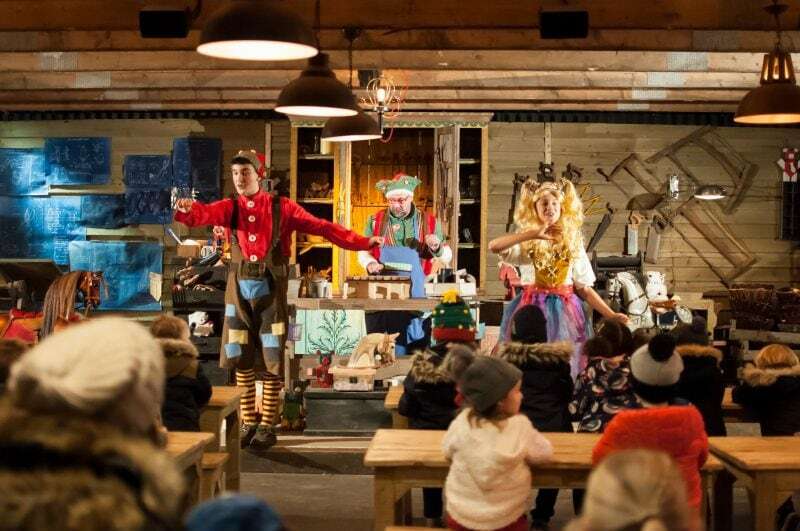 Because it turns out that with every visit to Lapland UK the magic simply increases. 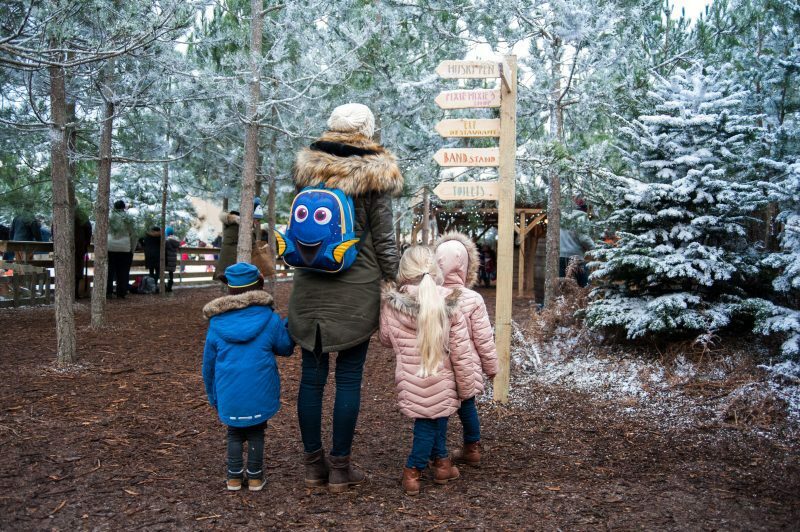 With every year we make that journey the excitement builds, the children’s confidence grows, the anticipation heightens and our memories etch a little deeper. 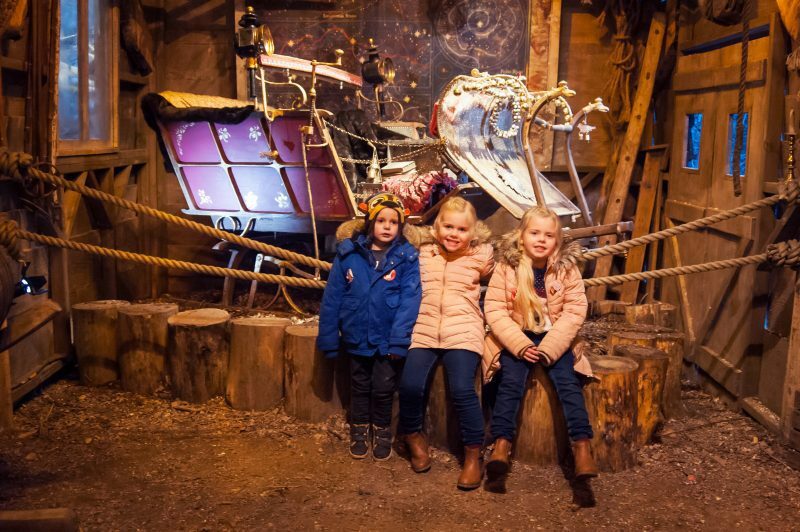 The familiarity of a return visit allowed the children to enjoy it a little more, to laugh a little louder, believe a little harder; to remind us that, although another year has passed, our children still very much believe in the magic of Christmas. And no matter how old we get, we always will. We made a video of our day at Lapland UK, our first ever vlog, we hope you like it! That looks absolutely amazing and so magical! This is almost close to being Disneyland. You should publicise more. It really looks. Even workers looked happy doing their job. 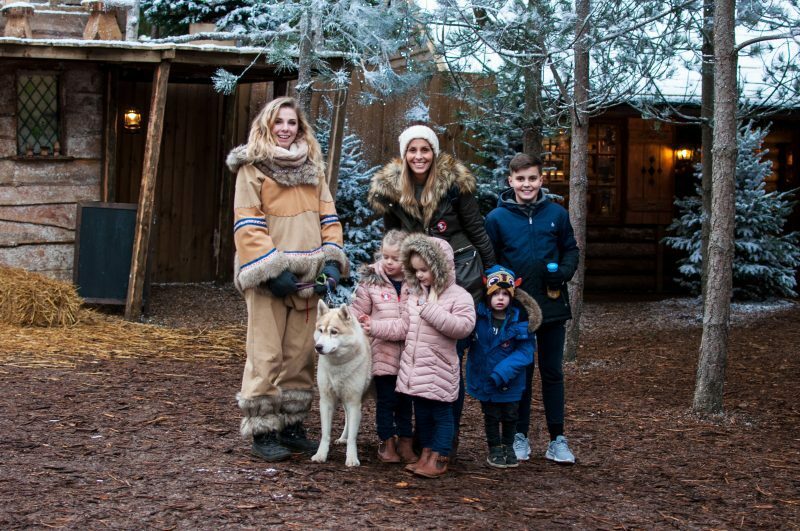 Oh how I would love to go Lapland and your vlog was so magical! I subscribed to your channel and I look forward to watching more of your Vlogs! Take me with you next time haha! Wooow! 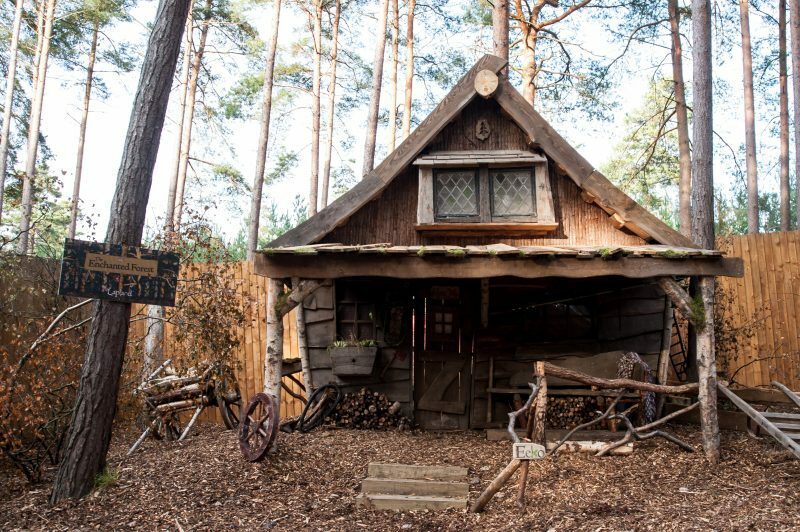 So places I see in movies surely do exist! Lapland looks soo magical, you surely had fun! Great pictures you got there! So many people going to Lapland this year! Can see why, it looks brilliant! Lapland looks utterly amazing! I’ve always wanted to go, but would it be weird to go a twenty-something with no kids? Oh wow what an amazing trip it sounds and looks like you have had! Bet your children will remember this forever! Pictures look so fun and festive. Sounds amazing. I’m quite tempted to return to the UK next year to bring our son. We have never been to lapland. I think we really need to make an effort to go there some time soon. It looks like it would be an amazing adventure. Oh my goodness, this really brought a tear to my eye, what a wonderful experience with your children! I look mine on a local santa train this year which was wonderful, the excitement on my 2 year old’s face was amazing. Lapland is going on the bucket list!! This looks like such an amazing pace to visit with the children. I would love to take mine one year. There is so much in your post I could comment on, it is a really lovely read. I was delighted to read that Eva was confidently chatting to the Elves as I know you’ve said how hard school is for her, so that’s great. Each time you mention your little boy saying ‘my will….’ it remind me of mine being small as they always used that phrase ‘my had a nice sleep, mummy’. Wow! This does look amazing. I am going to put it on my wish list for next Christmas as we’ve just lived so this year Christmas has snuck up on us a bit! OMG! I felt like I was in Christmas story book! What a whimsical Lapland is! 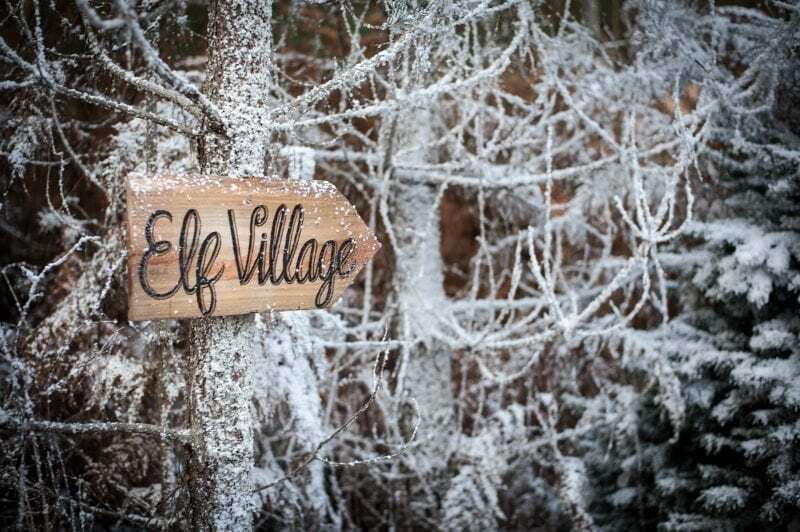 I love the elf village! 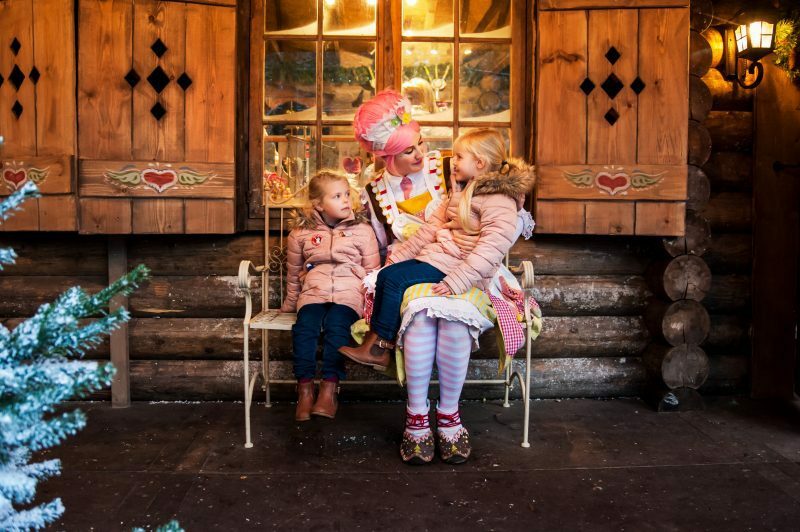 It’s perfect place for children on Christmas! I’d never heard of Lapland UK before. It sounds amazing! Bit far from Scotland, unfortunately. Now am feeling jealous, am an adult and wants to experience the Lapland Uk. Its so magical experinece! How i wish it is easily accessible. I’m so much amazed by this beautiful place, the elves and the story telling of lapland. Though kids had seen it, but the way you described along with the photos, I’m sure, we all can see that every year! What a truly magical experience you guys had and definitely glad to hear this year’s adventured topped the last year. It shows on your kids faces how much fun they must have been having. I am definitely taking the kids next year. They will be 11 and 9 but luckily they are still ‘Christmas believers’ and we all adore the Christmas magic. Even the Husband has been known to crack a smile. This looks all so well done, so much thought put into every detail. Magical! 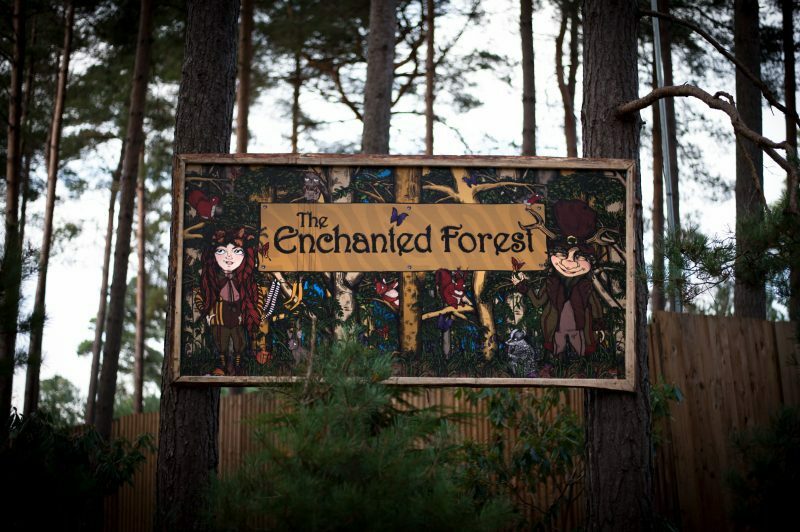 It looks really enchanting here, the experience must be mind-blowing for kids! I am sure it will help to keep the magic of Christmas alive for many years to come. 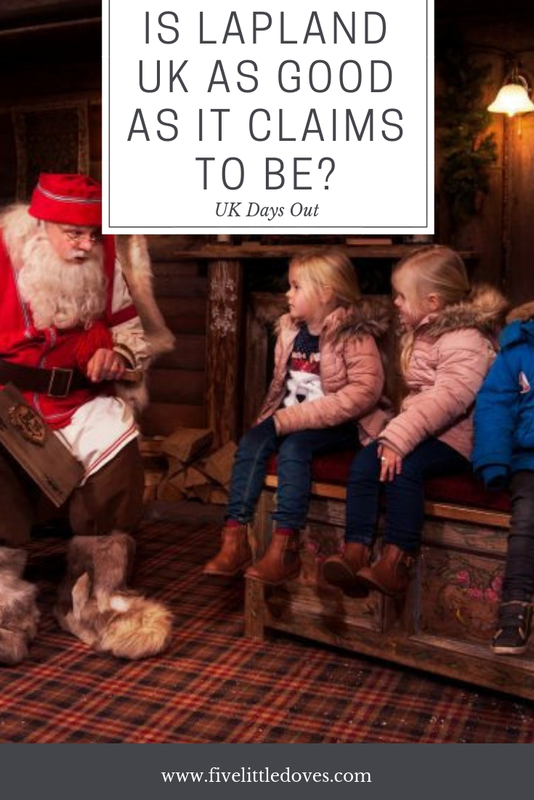 I like the idea of Lapland UK, because although it would be nice to visit Lapland itself, young children don’t always cope well with travelling – and I imagine it would be freezing there, too! 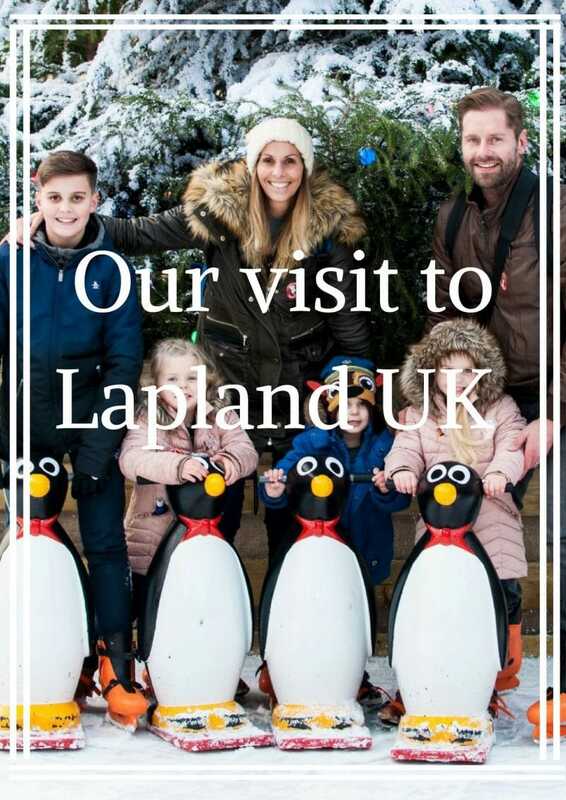 I didn’t even realise that there was Lapland UK.Judging from your lovely photographs the children seem to have had an even better time than last year. I love the traditional feel of the whole park and it brings to mind the old traditional xmas fairy stories that seem to be lost nowadays. Wow, what a magical experience for the entire family. This must surely be the best way possible to get in the festive spirit! 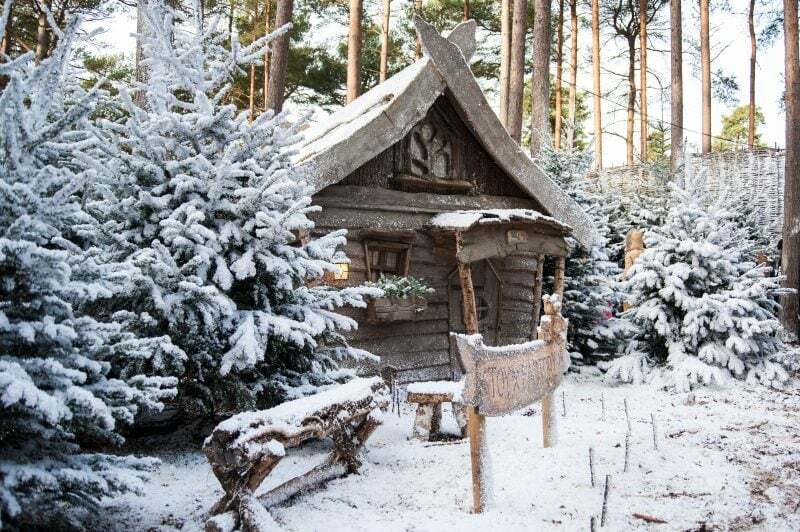 Oh my goodness how wonderfully magical does Lapland UK look! I have to admit I’ve heard the name but had no idea what exactly it was, so it’s nice to see behind the scenes somewhat! This looks absolutely precious! What a magical way to truly embrace the holidays. I’m glad it was as amazing as the first time! 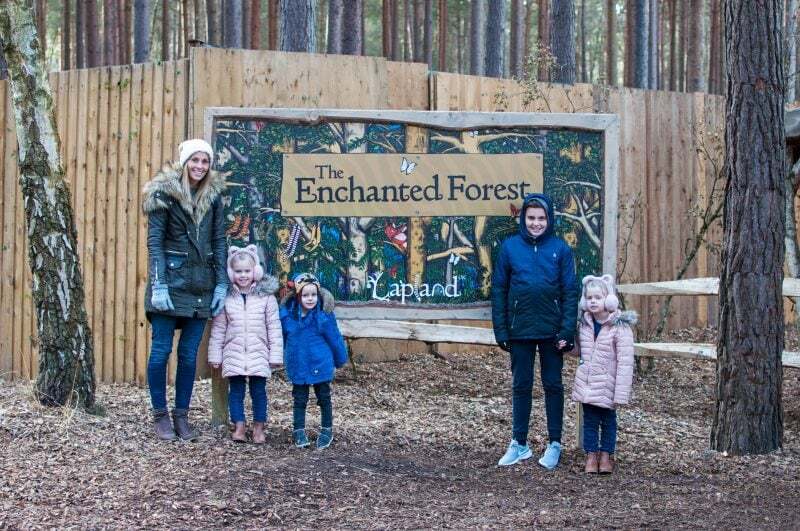 I’ve always wondered if Lapland UK was really worth the huge price tag and your review is going a long way to persuade me I need to take my kids next year somehow! 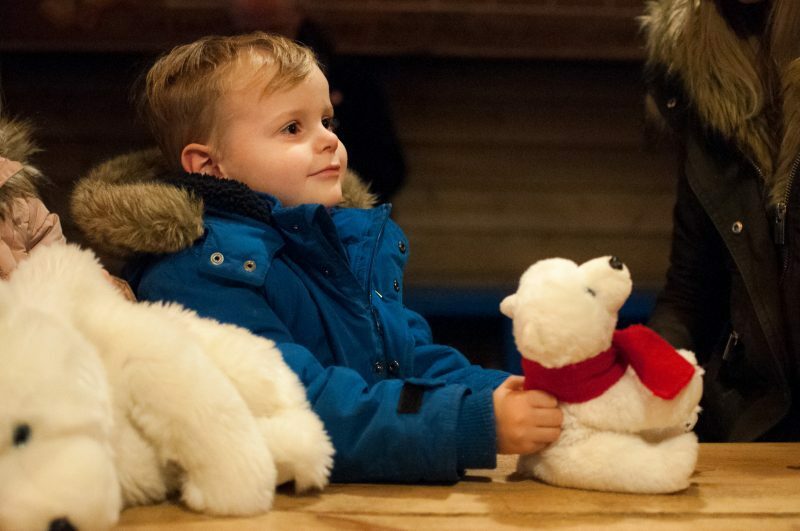 The part about having enough time to allow very shy children to warm up and enjoy it really resonated with me, having extremely shy twin boys who at 8 yrs old, have only just started to go near Father Christmas haha! 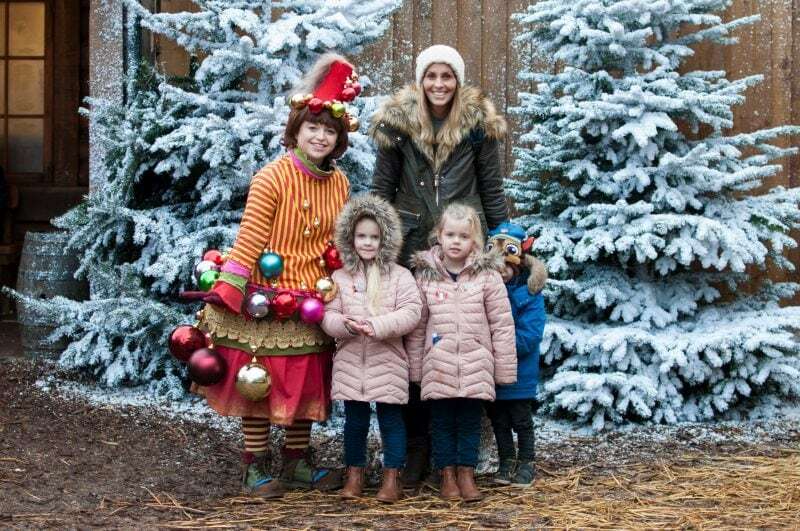 Wow this looks like the perfect Christmas family day out! Who said you have to visit a Nordic country to experience lapland eh? Some fab memories made here I’m sure. Oh I would love to make my son one day. It looks so magical! I’ve never heard of Lapland before but it really seems like the perfect trip! It really seems like you had a wonderful time! This looks like such a magical experience! The boys are a little too young at the moment, but I think they would love it when they are a bit older. The photos are amazing and I love the letters that the children get. 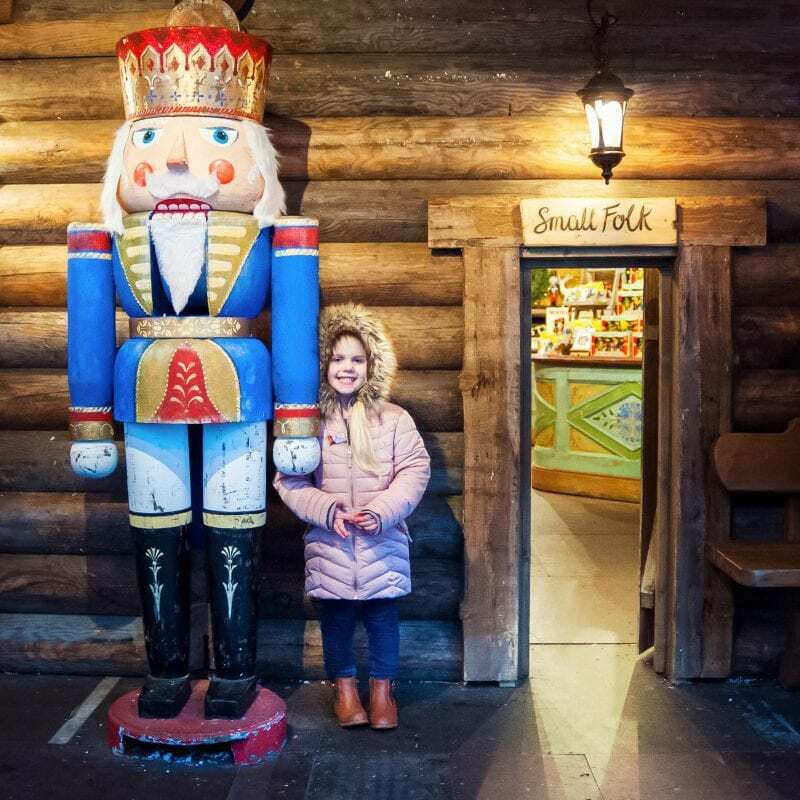 I have never thought of Lapland before if I’m honest and I’m from the UK but reading all of that and feeling as if I was actually there with you as you’ve painted the picture so well, I am now googling for next year to take my little girl. No wonder you went back! What a wonderful place! Lapland UK looks like so much fun. Nice pictures and it sure does look inviting. Shall have to visit next year. Have been to the real Lapland, but my son was so young he couldn’t enjoy it. Oh my goodness! Lapland UK looks soooo magical! I’ve heard so many great things about it, I am definitely looking to visit next year! 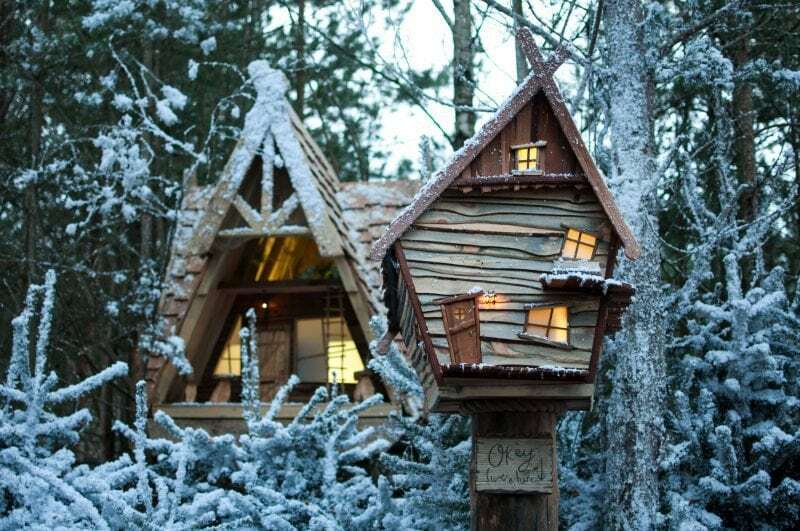 Wow, this place looks like it’s from a fairytale! I would love to visit it with my family. You described it as a really magical place and it will be on my travel list for next Christmas. Your photos are gorgeous and it looks simply magical here – I’d love to visit one day. Oh this looks SO unbelievably magical. What beautiful photos. Gorgeous. It looks amazing and really magical. I would love to take my boys in a couple of years they would love it! Wow, what a fabulous day out. It looks like you all had such great fun. I’d definitely love to take Jacob there in a few years time. It’s so nice to make family memories. Thanks so much for linking up at #KCACOLS. Hope you come back again next time. Lapland looks truly magical. I really want to go next year with my daughter. Lapland UK looks incredible! It sounds like you had a truly magical time and made memories that you’ll never forget. I have a niece and nephew who would absolutely adore this – so I know what Auntie Rosie is treating them to next year! I’ve never heard of Lapland. It looks so cool and magical for the littlens! The snow is just everything! It all just looks so cool, looking at the pictures I felt as though I was being taken on an adventure. It all looks so magical. I hope to visit next year when my daughter is old enough to understand it a bit more. Oh my goodness! You’re so lucky to have gone twice. It says a lot that it was still fresh and exciting and magical the second time around! I remember seeing your Instagram post on this and it looked so cute! I must visit next year! What a magical place. 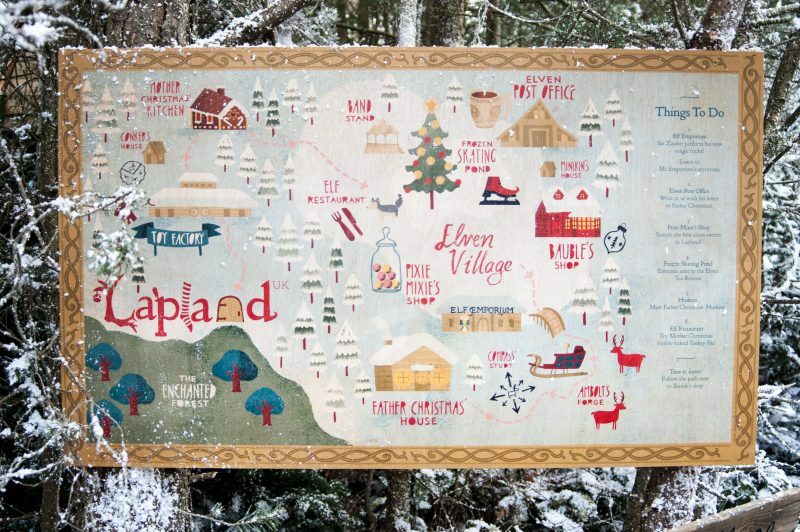 It sounds wonderful 🙂 I had no idea that there was a Lapland in the UK! I think we’ll have to have a look for next year! Ah wow it all looks so magical, what an amazing experience and what a fab opportunity to get too. I wish we’d been invited! I did look it up but I couldn’t afford it this year with Disneyland too, maybe next Christmas! Lovely photos. OMG – I’ve never heard of Lapland UK before – on my first read of your blog I thought you’d actually been to the real Lapland!!! It looks amazing and Santa looks so real!!! Think it’s going to be on my 2018 bucket list!!!! Can’t wait!!! ?What a truly fabulous blog, you have detailed it all so perfectly! Your lovely family, enjoying the excitement, it bought back so many ?? ?memories, bought a tear to my eye, I so want to go back, but my son who I know is in his last year, it won’t be cool, he ? ?believes in his own way! ? I now have to wait for grandchildren from my eldest, so fingers crossed in a few years! So reviewers reading this you MUST GO!! it is the most wonderful and magical day! For the adults too, it is the most amazing & memorable day!